Schoology– Learning management system with an online discussion capability perfect for extending conversations beyond the walls of the physical classroom to give every student a voice. 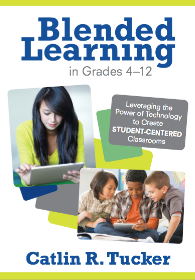 StudySync – This dynamic multimedia ELA curriculum supports students in developing 21st-century literacy. Students can engage with a variety of media, read a wide range of texts, annotate digitally, listen to audio recordings, watch video clips, and anonymously provide peer feedback on each other’s work. Flipgrid – Students can quickly and easily record videos and share them with the class. Teachers can also use FlipGrid to connect with other classrooms all over the world. Mentimeter – cloud-based interactive presentation software. Great way to engage students. The word cloud feature is my favorite! Padlet – Virtual post-it note board. Students can post pictures and text. Check out my blog on using Padlet. Google Apps – Make collaborative writing & group work online easy. Engage many students in one document. Use the Google forms for peer editing, creating a digital rubric and collecting feedback. Socrative – Student response system for quizzing & gaming in the classroom- use laptops, iPads or smartphones. Up to 50 participants in a virtual classroom at a time is free! Check out the “Exit Ticket” and “Space Race” features. InsertLearning – Transform any webpage into an interactive lesson to engage students around online texts. Check out my blog on InsertLearning. EdPuzzle – Great tool for flipping your classroom! Select a video, add audio notes, design multiple choice and open-ended questions to track your students’ understanding. 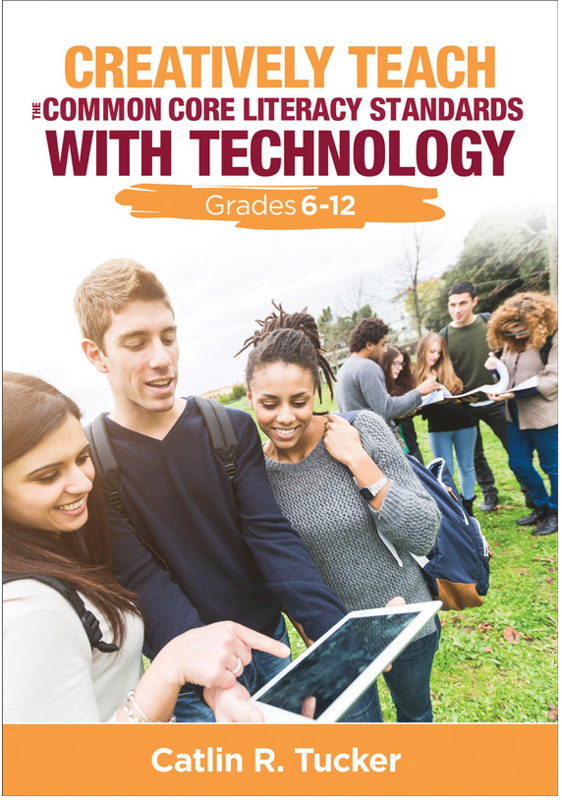 CommonLit – high-quality, free instructional materials to support literacy development for students in grades 5-12. Remind – Send text message reminders to students, stay connected to parents. One way communication from teacher to students and parents. QR Stuff – Design colorful QR codes and choose from a variety of printing formats. Storybird – Collaborative storytelling tool. Students can create short art-inspired stories that can be shared or printed. Students can pair their writing with images to bring their stories, poetry, songs, etc. to life! StudyBlue – Make flashcards with video and audio elements, taking notes, and preparing for exams. Penzu – Online journal that students can use to reflect privately or collect pieces of writing they want to share. The ability to lock or share makes this a wonderfully diverse web tool. Students can individually use this or a teacher can create a “classroom” collection of journals and provide students with a code. Students can save, print, add photos, etc. Goo.gl – Google’s URL shortener and automatic QR code generator. Bit.ly – A URL shortener where you can share and track your links. It automatically creates a QR Code for links. PicMonkey – “Staggeringly great photo editing tools.” Great alternative for those who loved Picnik, which shuts down April 2012. Blabberize – Select an image, record your voice, and voila…you have a talking picture. Entertaining and more than a little ridiculous, but kids love it. Great way to engage kids in dramatic readings that do not involve standing up in front of an entire class of their peers. Evernote – Capture, index and remember information using a computer, phone, and web. Students can take notes, capture favorite videos, save web pages, and collaborate on projects using Evernote. It is the notebook of the 21st century. I work for an education technology start-up in London, and our team regularly visit your blog for thought-leadership. The resources and ideas that you share are very insightful and interesting to explore. I noticed you listed Wordle in your favourite web tools and thought you may be interested in Wordia – an online literacy learning resource. Not sure if you’ve heard about us (Wordia.com), but I’d value any thoughts you have on what we’re trying to do (map the K-12 – all of the vocabulary that students need to learn… raising literacy and subject vocab levels, through video and games-based learning). I would like to recommend another simple but useful tool. At http://www.learnclick.com you can create cloze tests very quick and easily and save them for your students to review. Collaborize classroom looks great except you have to be 18 to use it [says so in their terms]. Any ideas about how you’ve used it; I teach 7th graders. Here is a link to a consent form for students under 13 years old. Students 13 and older do not need parental consent. Quizlet: quizlet.com The one-minute video on their website demonstrates the power of this online study tool that allows students to collaborate by sharing eFlashcards, using their mobile phones, and much more. Screencast-O-Matic: screencast-o-matic.com http://www.screencast-o-matic.com allows you to record what’s on your screen with a click of a button and there’s no software to install. easel.ly	This free website allows students (or teachers) to create visually pleasing infographics with data and save in an easily sharable format. Use one of their templates or start from scratch. Spicy Nodes: http://www.spicynodes.org Create virtual connected webs of ideas, with text and embeddable with pictures and more. One application I’ve used this for with my students is to compare two stories or characters. Prezi: prezi.com	Similar to a Power Point in that it presents information and allows for embedding of things like video clips, but the similarities end there. Where a PPT is linear, a prezi is a 360 degree experience. My students find it very simple and intuitive. Make sure to sign up for the free educator’s account. PDFescape.com	This free online PDF editor allows you to add & “white out” text, add sticky notes, and more. When done, save the new PDF file to your computer…or Dropbox. Drop It To Me: dropitto.me Students and colleagues can send you files securely directly to your Dropbox using DropItToMe. This includes powerpoints and video files that are too large to send via email. If This Then That: http://ifttt.com “Put the internet to work for you.” Okay, this one is just awesome for a busy teacher, more than it is usable in a classroom. Set up triggers (such as, if I tweet a link or receive an email) and resulting tasks that will happen automatically (then save that link to my Dropbox or text me an alert.) It’s free and limited only by your needs! Sorry for the long list, I just love them all and couldn’t narrow it down! My Fake Wall is no longer a functioning tool. I have removed it from my list. Thank you for the heads up! Yikes. I’m glad you were able to attend a session in Napa. I love every opportunity to present for and work with teachers! I stumbled onto Collaborize Classroom this past summer and eventually found your website, book and blog. I started using Collaborize in my 10th grade English class this year for online discussions about poetry, teaching the students how to explicate poems and talk about them in response to videos of poets reading their poetry. Poets as diverse as Langston Hughes to Alicia Keys. It has been the most exciting thing I’ve done for my teaching in 14 years. My school’s principal was so impressed when I showed him the website and wants me to present it to the faculty. I just wanted to say thank you !!!! Collaborize has definitely reinvigorated my teaching and given my students something they know is new and innovative, a rare item in today’s education wasteland. So, Thank You again. I’m a big fan. I would love to have you come down and present to the faculty. Donald Fontowitz – Ruth Asawa High School for the Arts S.F. Thank you for the kind words! I’m thrilled to hear my blog and book have been helpful. I really enjoy sharing what I am doing with other educators. It sounds like we had similar experiences with Collaborize Classroom! I refer to it as my “gateway technology,” because it was so transformative. You should absolutely present to your staff. I’m a big advocate for leveraging the talent on a campus for teacher led professional development. I also do a lot of training on topics ranging from blended learning to online discussions to the Common Core. Feel free to keep me in mind. It’s always fun to train teachers locally. Take care. Thank you again for taking the time to post a comment. I love your website and all the information it provides! Thank you for sharing. While looking at your “Favorite Web Tools” page, I see many of the hyperlinks are no longer there. Are these resources no longer available? I have searched online to find some of the resources, but I want to make sure I have the correct website. Thanks! Let me check it out, Lori. It’s been a while since I updated that page. I just graduated from high school a few months ago (Whoop whoop), and while I was searching the web for recommended web tools for college I came across your website. I love these tools! I use evernote practically everyday after I found it on your site. Thanks for putting together an awesome stash of resources for us to use. I’d like to also recommend http://www.slideshare.net and http://www.formatically.com for the list. Slide share is slide sharing website that allows user to upload content, and formatically is a free MLA formatting tool that will format an entire essay automatically. I was talking to my AP about using a lot of this web based tools and she was concerned about parent consent. Do you have a consent form you use for your students? If so, what goes on it? I don’t have parents sign a consent form and my school does not require it. I communicate with parents about the tools we use in class, but my students are over 13 and can legally sign up for any web tool that requires a password. If you do a Google Search Denver Public Schools as their parent consent form posted online. Hi Catlin, thank you for sharing! In the age of computers, students have the opportunity to get necessary information anytime and anywhere. However, the question about the impact of the Internet on education is still dubious. From one hand, the Web gives people access to World’s encyclopedia and makes education so accessible. On the other hand, it is much easier for learners to plagiarize texts that they find online. I think, educators should inspire students to develop moral qualities in respect to the scientific work others write. In addition, plagiarism can be defined as a serious demonstration of misconduct. That is why, I would like to recommend teachers to use a best plagiarism checker, like Unplag https://unplag.com/ This plagiarism detection tool scans documents across Google and Bink, so as a result teachers receive a trustworthy report with percentage of similarity. I’m a K-6 teacher in search for an online planner to use next school-year. Any suggestions? I learned so much from you at a CUE conference a few years ago and appreciate your recommendations. To be honest, I use my Google Calendar as an online planner now. I use the expanded “Details” view to add my comments, notes, reading schedule, and lesson plan ideas. I can set reminders, share my lessons with my co-teachers, etc. It’s amazing! Planboard is worth checking out! I used that before moving districts! I love reading your stuff and frequently use these resources! I’d like to recommend Check123 – Video Encyclopedia in 1, 2 & 3 Minutes (https://www.check123.com). It’s great for teachers because they have videos on just about every topic in three minutes or less. All of the videos are indexed and categorized, making the search process is very simple. You should definitely check it out! Thanks again for everything you share with us, it’s awesome! It is a very interactive and exciting storyboard tool that my students love. I noticed that you suggested Pixton, so I am going to check it out for storyboards. It has some similar features to StoryboardThat. I’ll definitely check out StoryboardThat. I’ve also heard good things about Boords, but I have not tried it with my students yet. I was verbalizing with my AP about utilizing a plethora of this web predicated implements and she was concerned about parent consent. Do you have a consent form you utilize for your students? If so, what goes on it? Here are 18 forms for collecting parent consent. Hopefully, one of these will work! Hi, Catlin! 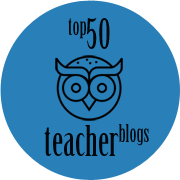 I have been following your blog since my second year of teaching (this is my seventh year). I was first introduced to your blog through a webinar and have since used many of your ideas in my classroom. Your blog helped our department embrace technology when we were given classroom sets of Chromebooks. Our school has since moved to 1:1, and you continue to inspire me to rework my classroom! This year, I am working with a teacher in another district and we would like our students to read and respond to each other’s work. We think it is important for students to publish their work and think it is very valuable for them to connect with students who come from different schools. We have a lot of great ideas but are struggling with the platform to have our students use. We envision having students create a blog post with their work and then have them read and respond to a post from a student in the other district. We each will have about 100 students participating in this and are already feeling overwhelmed with managing comments across school districts. We want to be able to make sure our students are communicating respectfully with their peers but do not know how we can keep track of their comments without combing through each individual post from both districts. Do you have any suggestions on a platform that will allow us to manage comments across districts? Thank you for showing me how technology can work in the classroom as a way to enhance student learning! First, thank you for your kind words. I’m thrilled you’ve found my blog valuable to you in your work! I’ve been trying to think about how to do this best. If you use blogs, it is definitely harder to track comments but the benefit is that kids are actually publishing their work online. Option #1: Use a shared Schoology discussion space (e.g. match up a class or group of students from one school with a class or group of students from another school so there aren’t too many kids in one online space). The benefit is that Schoology’s discussion functionality is robust and tracking their engagement will be a lot easier for you and your co-teacher. They can post their writing to a discussion thread and interact with each other easily. If a student does say something that isn’t respectful or appropriate the audience is limited and you can manage it more easily from the teacher end. Students would also have easy access to everyone’s writing instead of just a partner. Option 2: Use Google Classroom to join your classes and have students make their writing “Can comment” so other students can jump in and out of their writing to provide thoughtful feedback. Now, the downside of these options is that the audience is limited, which may be an important element of this project for you. Thank you so much! I appreciate your comments. I like the idea of Schoology. I am okay with the audience being limited to the other class but will discuss it with my co-teacher. I created a account on Ed Shelf. I like Shake -a Phrase it’s a fun interactive language learning tool. It will help my struggling students to read the silly entertaining sentences, learn the meaning of unfamiliar words, create their own writing, test their knowledge of the parts of speech and, share with friends and family. 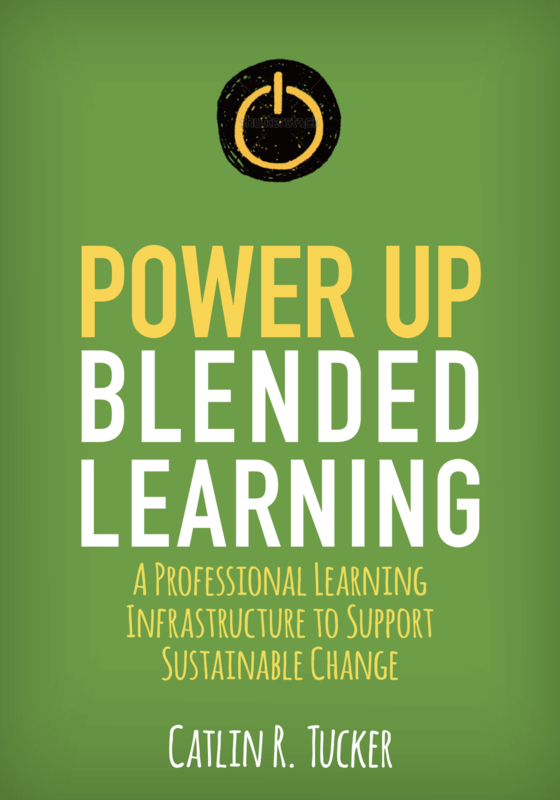 Some colleagues and I were energized by your Blended Learning workshop a few years back in Maine. Are you going to be presenting in Southern Maine any time soon? Thanks. 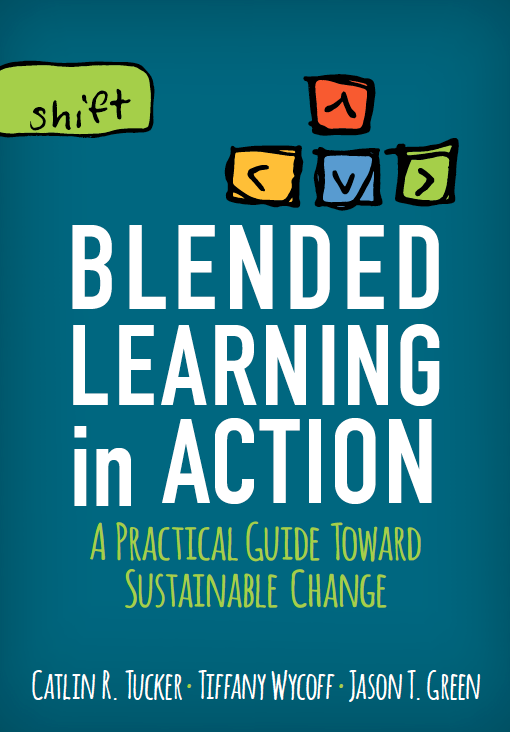 I thrilled to hear you and your colleagues enjoyed my blended learning workshop! Unfortunately, I do not currently have an event planned in Maine. If I have an event pop up, I’ll add it on my speaking calendar (on my website). That said, I’m pretty booked through April so I don’t anticipate anything during the 2018-2019 school year. I’ve just come across your site. I admire your tremendous energy. You are clearly passionate about blended learning. –which is from our site, GoConqr, a free online Learning Platform. If you think this might be of value to your readers, I’d be grateful if you shared it.